looking for information on how you can make awesome wreck dive photos too? In this article we share 5 valuable tricks you should know. Looking for more info about shark finning? This infographic explains what shark finning is and what is does to the eco system we live in and rely on. Are you wondering what animal is more likely to kill you than a shark? This Infographic explains what animals are more likely to kill you than a shark. Wondering how to maintain your wetsuit properly? We explain what and what not to do with your wetsuit. Looking after your wetsuit properly will make your dives more comfortabel and fun. Would you like to liveaboard dive the foot of an active vulcano? Then Barren Island in India is the place to go to. This article describes 6 of the best dive sites of Barren Island you should not miss! What is a Save a Dive Kit and Why Do You Need it? Wondering what kind of sharks you can encounter while scuba diving in Cozumel? In this article we reveal 4 type of sharks likely to be encountered by scuba divers in Cozumel. How and When to Tip Your Dive Guide? 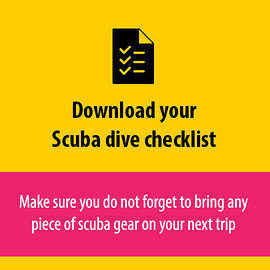 Wondering how and when to tip your scuba dive guide? In this article we share some guidelines regarding how to tip your scuba dive guide after you made some awesome scuba dives. Would you like to win a free liveaboard trip to the Philippines? Join our raffle today and win a 50% discount on a Liveaboard trip for 2 in the Philippines.